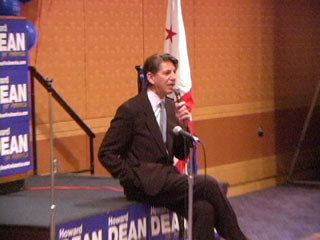 Actor/writer/activist Peter Coyote MC'd the Howard Dean kick off event that took place on June 23, 2003 at the San Francisco Hyatt. I'd say we've got 1 and 2 pretty well under control. Time to get started on number 3 in a big way! After Penelope Houston performed, Peter came back to say a few words to the audience about the dangers of using proprietary software within voting machines. I spoke to him briefly afterwards to let him know that the word he was searching for is "Open Source." I realized after last year's election that in order for our Electronic Voting Machine software to be trustworthy, it has to be open sourced -- or at least made available for scrutiny. Otherwise, by definition, it can't really be a part of the democratic process. Making the source and technology available for public scrutiny is the only way to ensure that the proper technological checks and balances can be built into the system (and be double checked afterwards). Transcript: One last thing on the Georgia Voting Fraud. It can't be proven because the software is proprietary. There's a dress rehearsal. There's a website called Votescam.com, and you need to look at it. And everyone of us needs to write our legislators and say: "We want paper ballots." "We want transparent software." "We want the government supervising the elections." Otherwise, what will happen is, at the end of the day, the Police will take the voting machines, they will give them to the corporation, and the corporation will tell you who won. There's a long history of documented voter fraud in this country, and the dress rehearsal was the last presidential election. 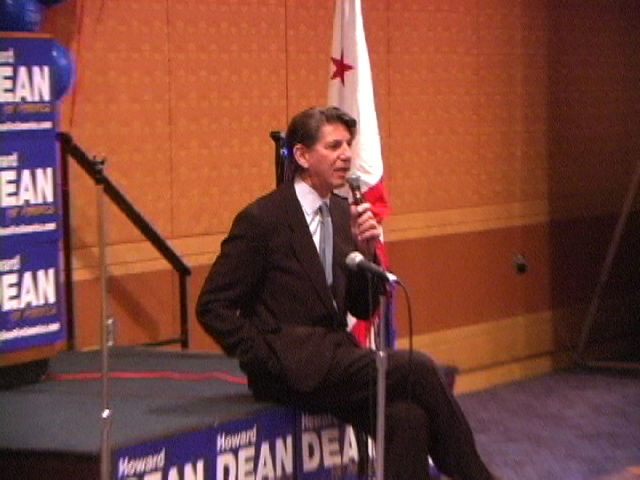 I narrated a film for a reporter called Greg Palast. 91,000 votes stolen in Florida. 91,000! Go to Greg Palast.com and look it up. Go to Votescam.com. If we don't stop voter fraud, we're not gonna win this election. Thank you all very much for coming.